We train teachers to develop their own, better tests . . .
Teacher-made tests are most effective for raising student achievement. Teacher-made tests provide useful data for identifying areas of strength and weakness in student learning. Teacher-made tests ensure that tests are fair, that what is tested has been taught. 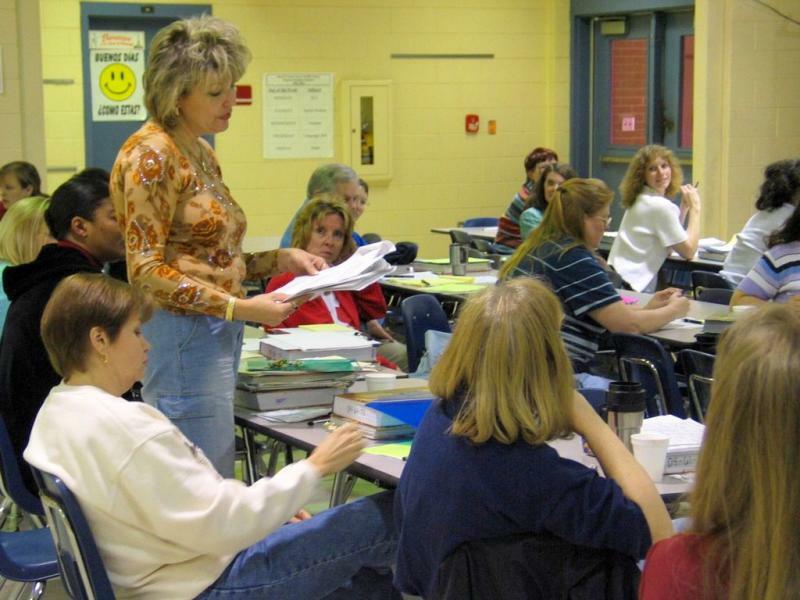 Teachers working together produce valid standardized tests such as benchmark tests and end-of-course exams. We provide technical and editorial expertise for teachers to develop school or system-wide standardized tests. We review and edit teacher-written test questions to meet high editorial and high psychometric standards. We develop complete test item banks and tests matched to mandated standards, high-stakes tests, and curriculum guides. We also design tests for a wide range of non-academic training programs. Contact us for details. We have worked with teachers in more than a dozen Georgia school systems as well as with school systems in other states: Texas, South Carolina, and Pennsylvania. We have written thousands of test items for a school system's benchmark tests. Dr. Pohl has consulted with schools in Austria, France, and Japan. Copyright 2010 Better Testing & Evaluations. All rights reserved.